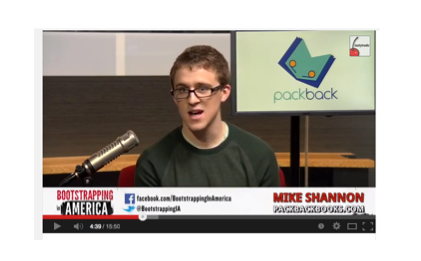 Don't miss Mike Shannon, Co-Founder of Packback, on Bootstrapping In America. Mike talks about the textbook industry, the Packback model, the Chicago startup scene and, of course, his recent Shark Tank win with co-founder Kasey Gandham. Older PostAnnouncing Catapult's Accelerator - Nuclear Cannon!